Chisinau, 29 January 2017 – The Ministry of Health, Labour and Social Protection, in partnership with the United Nations reproductive health and rights agency (UNFPA), the Swiss Agency for Development and Cooperation (SDC) and other partners, launched the Cervical Cancer Prevention Week 2018 taking place between 28 January - 3 February. It is for the first time in Moldova that about 20 organisations, including the medical community, international partners, the civil society and the private sector, religious leaders, artists, young people, women and men joined efforts to raise awareness about the need to prevent this disease. ‘Cervical cancer can be prevented. To this end, the Ministry of Health, Labour and Social Protection aims to reduce the morbidity and mortality caused by cervical cancer by promoting cervical cancer screening and HPV vaccination as the most efficient prevention methods’, said Svetlana Cebotari, Minister of Health, Labour and Social Protection. The cervical screening tests need to be taken every three years at the family doctor. Such tests are meant for women aged 25-61, and it is free of charge for all of them, including the uninsured ones. The procedure itself is simple and painless. More than 700 women take the test every day all across Moldova and prevent, thus, the disease. Nonetheless, many women go to the family doctor too late. At present, there are about 4000 women living with cervical cancer. “UNFPA will support, this year, a nationwide study to understand better women’s behaviour and come up with concrete solutions and information for them. 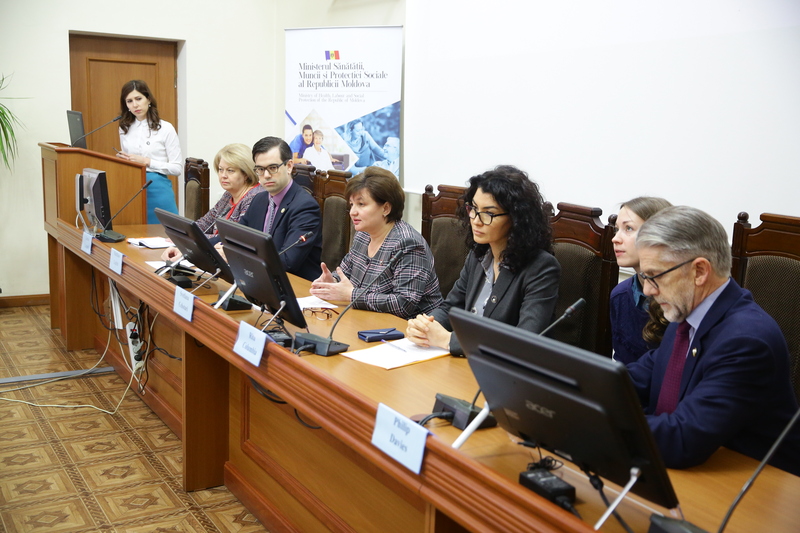 ‘At the same time, we will continue to support the health system to improve the quality of screening services, because cervical cancer can be prevented’, said Rita Columbia, the UNFPA Representative in the Republic of Moldova. During the Cervical Cancer Prevention Week several public activities will be conducted, such as awareness raising sessions and public lessons in health centres, community libraries, enterprises and private companies, churches, penitentiary institutions. Also, young volunteers and students will organise awareness raising and information events in public venues. The laboratories from the Institute of Oncology and Republican Centre for Medical Diagnostics, as well as the network of private laboratories will perform the screening tests free of charge. A video spot featuring patients, family doctors and the artists Marcel and Cornelia Stefăneț will be broadcasted and promoted as part of the campaign. ‘I urge all men to encourage their wives and partners to go to the doctor.’ ‘I want to be a healthy mother and wife for my child and family that is why I go to the family doctor to take the cervical screening test. You should go too!’ the artists say. The Cervical Cancer Prevention Week is organised by the Ministry of Health, Labour and Social Protection in partnership with the United Nations agency for reproductive health and rights (UNFPA), the Swiss Agency for Development and Cooperation (SDC), the International Cervical Cancer Prevention Association and the NGO “Viața fără Cancer”.